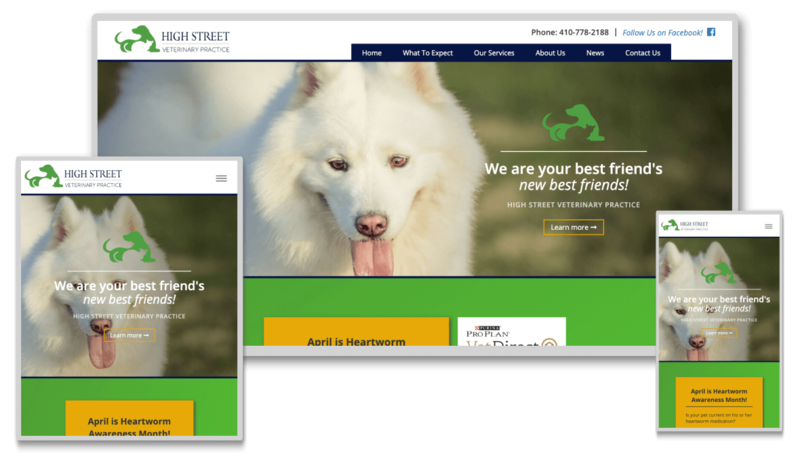 High Street Veterinary Practice is a new business, opening its doors to Chestertown and Kent County, Maryland residents in early 2018. Rachel Mowell requested our assistance with a website design and logo development for her new business. 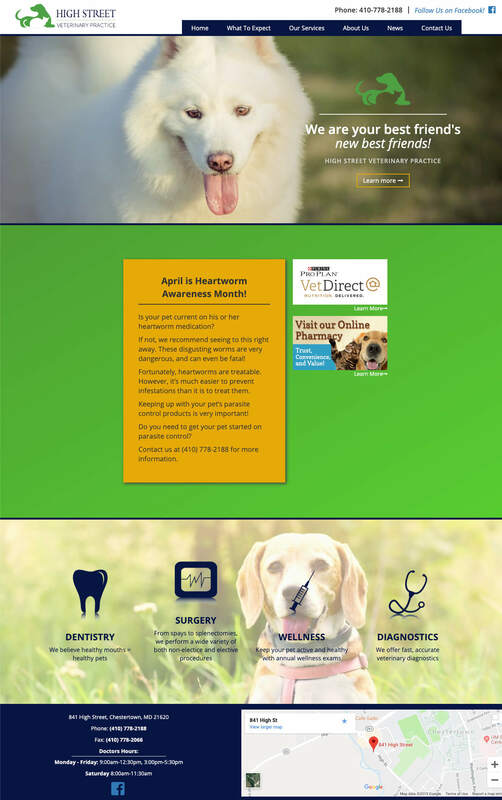 We knew that the community would have questions of the new veterinary practice, so we wanted to design a site that was clear and concise, featured the services offered by Rachel and the staff, and gave them tools to start growing their customer base. In addition to a clear design, we added a “Current Wait Time” feature to the top of every webpage which can easily be updated by any staff member by logging in to the website. Also, we started a monthly series of “awareness months” for pet-owners to learn more from Rachel and the team, and even get special discounts on services. A website is never finished, so we always do our best to efficiently put our clients into the driver’s seat once the design is complete in order to use the tools and design to grow their business.